The social media landscape is crowded. While this presents benefits like the ability to get in front of the masses, it presents a somewhat larger obstacle, how to make your profile and presence pop in a sea of people. I shared my tips for standing out on Twitter and on LinkedIn. To continue this series, let’s tackle Instagram. As you know, most of the blogs I write are aimed at businesses. These tips however can be used for a personal and a business account. This is always my first advice and rightfully so. The profile is the first impression and the ONLY place on Instagram where links are active. That means if you want people to click-through to your site via Instagram it has to be done here. First things first…your image. This is an image sharing site after all, so your profile pic should be clear and most importantly represent you. Beyond your profile page, your profile image will also show up on your friends’ feeds when you share an image, on the actual Following Feed which people follow religiously, and on the news tab which people see when they get notifications. Bottom line, use an image that works to your advantage. Hashtags are the only way to search on Instagram. This means if you want to be found you are going to have to use Hashtags. People follow hashtags and there are a bunch of tags to use if you want to increase likes and comments right off the bat. My advice is to stick to hashtags that make sense for the image you are sharing and use that often. 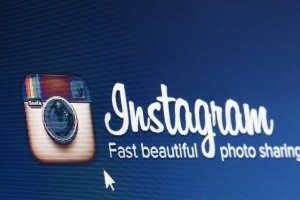 Your images are the most important thing on Instagram. You want to make sure they fit in with the feel and vibe of your brand but more importantly they have to fit in with the vibe of the Instagram community. Instagram is a thriving community and like on any social network, if you want to survive and succeed you are going to have to play by their rules. Filters work on Instagram. It’s what Instagram was built on. You should also think about using a blue tone as it seems to work best on Instagram. Lastly, try to incorporate some images with low saturation and block colors as they seem to do well as well. If you ask me how to grow on any social network I am going to tell you this. Consistency is very important to keeping your name out there and connecting with as many people as possible. Instagram works in the same manner. Post at least 3 times per week. If you have interesting posts and images on a more regular basis than go ahead and do that. There are a lot of super targeted Instagram accounts that only share content on a few different topics. This can be about Dogs, Beauty, HairStyles, whatever. This is a great way to grow a really targeted following. By being a curator of content you are branding yourself as an expert and growing a super targeted following. This is also your way to Influencer fame. Content Curators are Influencers because they share highly targeted information to a group of devoted followers. This is a community and it relies on your involvement. I always think it is a good idea to comment and like other people’s posts. Not only are people reciprocal and will probably share and comment on your posts it is just good form. Attach your images to a specific location, especially if it is your own store or restaurant. Not only do people search places on Instagram, it can encourage them to stop by if they like what they see. This is also a great way to start following local people. The odds are pretty good that they are local if they are sharing at a location near-by. As a small and local business, gathering a following of locals will be important to increase your foot traffic and garner support. I wrote an article about this before, but tagging people is a great way to show up in their feed and on their profile page. You can tag people inside the image and you can tag people in the comments. One way to really grow and get a little virality is to ask people to tag those who the image reminds them of, or who they want to share in the experience with, or so on. This is a really great way to get others to your images and to your page to increase your following. What tips do you have when it comes to Instagram? Great tips, Stephanie. While I’m into Instagram when it comes to taking pictures of my food (who doesn’t love a good food pic? ), I’ve had a hard time using Instagram for anything business or blogging related. Not being able to use links (aside from the profile) is probably a big reason for that. Yes, that can be annoying. However, you can always tell people to find the link in your profile. Other than that it can be used as a branding tool. I personally follow people solely based on their food pics. haha. Thanks! A very smart article with some useful tidbits. Thank you! Indeed I have found the IG works best as a branding tool for our brands that we sell. Hard part is building up a higher level of followers…but eventually you stick with it and the results will come. Yes. I agree 100%. Consistency is the single best way to increase your followers and presence. Thanks Lee. Thanks for this info, Stephanie. I’m new to Instagram and this was very helpful. I will get to work right away on my profile. Great tips! Thanks Kim! I hope they prove to be successful for you. I would like to thank Stephanie Frasco for these effective tips. It really boosted up my Instagram presence.